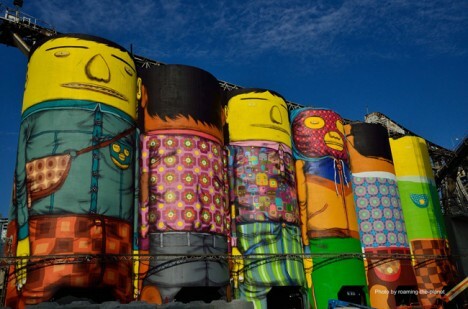 Six industrial silos along the heart of Vancouver’s waterfront have been transformed into colorful, towering human figures in a massive mural project by Brazilian street artist duo Os Gemeos. 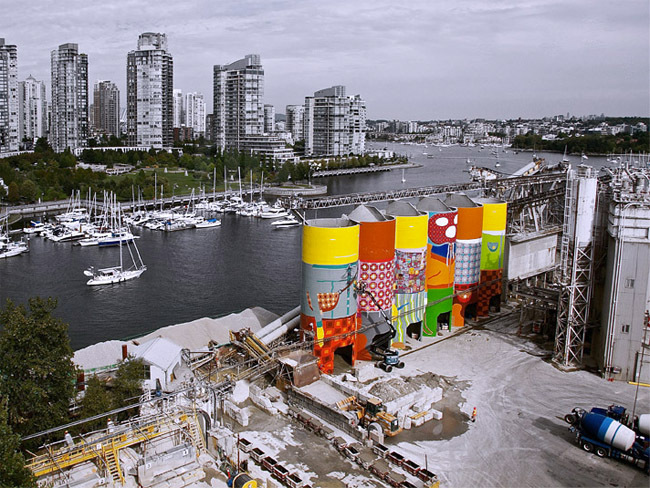 The identical twins, known for large-scale and often politically-charged urban art, raised funds via IndieGoGo to complete the project for the Vancouver Biennale. 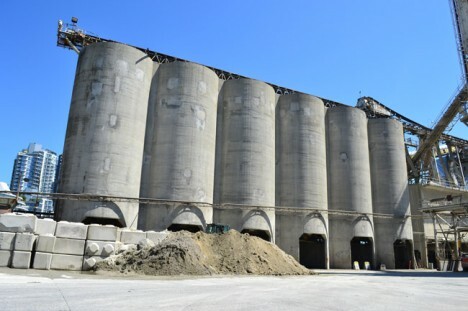 The silos are a landmark for the city, sitting within an ocean cement manufacturing and distribution plant on Granville Island, but they’re not exactly nice to look at. 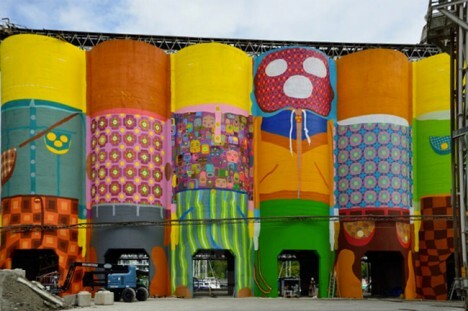 While the rest of the island is brimming with colorful plants and costumed buskers, the silos stand as the final tie to its industrial past. 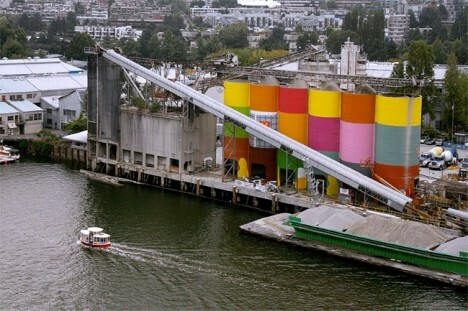 The Sao Paulo-based brothers raised over $25,000 for the 2014-2016 Biennale exhibition celebrating art in public spaces, helping to offset the total cost. 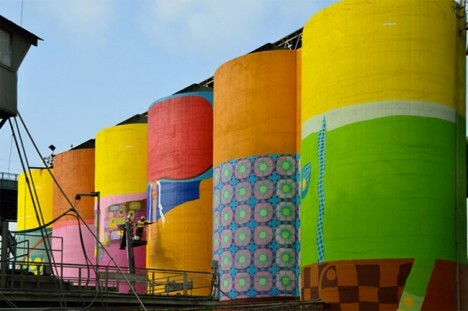 The finished work, which will be the team’s largest yet, will be unveiled on September 7th, 2014. 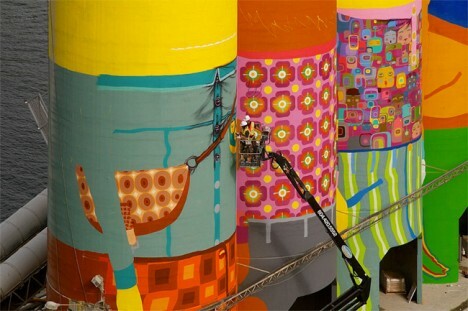 The mural will measure a total of 23,500 square feet and stand 75 feet tall.